The Holy Seen on October 18, 2018, confirmed its ongoing support for a two-state solution to the Palestinian question in the Middle East. The confirmation came in a statement by Archbishop Bernardito Auza, Apostolic Nuncio, Permanent Observer of the Holy See, at the Security Council, Open Debate on Situation in the Middle East, including the Palestinian Question inNew York. 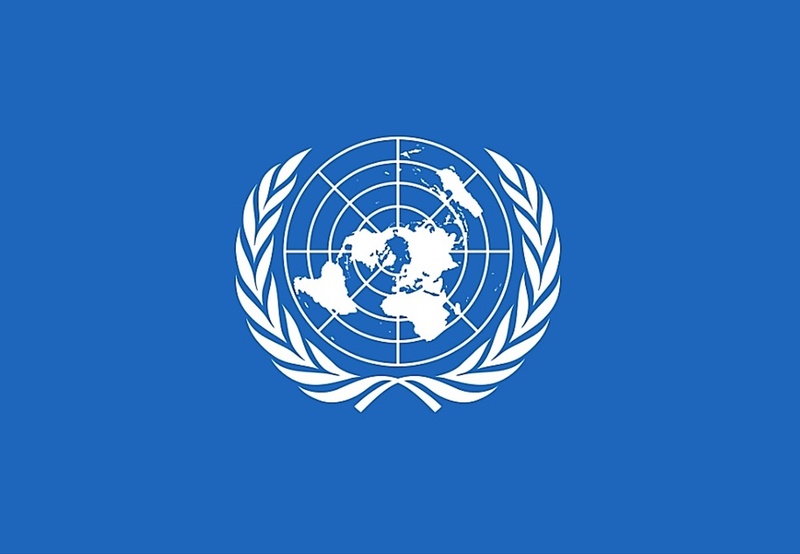 The Holy See thanks the Presidency of the Plurinational Republic of Bolivia for convening this Open Debate on a topic which brings us back to the early days of the United Nations, specifically when by General Assembly resolution 181 of 1947 the mandated territory of Palestine was divided into two States, one Jewish, the other Arab. For some seventy years, the Palestinian Question has been the topic of so many reports, debates, and resolutions in this Chamber and in other United Nations organs. The Holy See has supported the Two-State Solution from the very beginning, and my Delegation reaffirms once again the Holy See’s unwavering support for the Two-State Solution as the only viable way of fulfilling the aspirations for peaceful coexistence among Israelis and Palestinians alike, and the only feasible peace plan that would allow both nations to live side by side within secure and internationally recognized borders. The facts on the ground, as presented to this Council monthly by the United Nations Special Coordinator for the Middle East Peace Process, are a source for persistent grave concern. Leaders on both sides bear the heaviest responsibility in guiding their people in the direction of a mutually agreed resolution to the conflict, rather than leading them into deeper conflict. The Holy See calls on both Israel and Palestine to demonstrate wisdom, responsibility and the political will needed to reach a historic peace agreement that would meet the legitimate aspirations of both peoples. Persevering dialogue based on goodwill must replace inflammatory rhetoric, violence, and conflict. Innocent civilians must never be the target of terror or overwhelming military actions. The Israeli-Palestinian discord and the intra-Palestinian divisions have also been exacerbated by external forces and the geopolitical interests of other countries. The Holy See wishes, therefore, to exhort the regional neighbors and other concerned States from outside the region to facilitate and sustain the peace process, instead of obstructing or scuttling them for their own interests. The Holy See wishes to reaffirm the historic status quo of Jerusalem, in accordance with the relevant United Nations resolutions and rejects any unilateral measure aimed at changing it. At the same time, it calls upon the UN to carefully consider the status of Jerusalem as recommended by the General Assembly resolution 181 of 1947. My Delegation believes that the Holy City should be a place of convergence and peace and that the followers of the three monotheistic religions of Judaism, Christianity, and Islam should be guaranteed free and unhindered access to the Holy Places. Therefore, the initial proposal of an international status, guaranteed by the United Nations still remains of great importance towards fulfilling the City’s singular calling. Indeed, the Holy City of Jerusalem beyond doubt holds a very special place not only in the hearts of the inhabitants of Jerusalem but also for the followers of the three monotheistic religions throughout the world. May it become truly what its name means: City of Peace! My Delegation notes with great concern the dire humanitarian situation that the Palestine refugees and the United Nations Relief and Works Agency for Palestine Refugees in the Near East (UNRWA) are facing. The Agency provides a range of essential support for some 5.6 million registered Palestine refugees, supplying the most basic human needs from housing to education, health care, and social services. In a situation that shows no sign of being resolved quickly, a fully functional UNRWA remains the best means to prevent the situation in the region from worsening in a way that would bring both greater cost and likely greater expenditures to the international community. Like UNRWA, various charitable action groups and organizations of the Catholic Church provide education, health-care and social services to Palestine refugees and to Palestinians in general. The Holy See hopes and prays that, sooner rather than later, a fair and durable solution to the Israeli-Palestinian conflict may be reached, through the resumption of final status negotiations, aimed at reaching a Two-State solution, with Israel and a Palestinian State living side by side in peace and security within internationally recognized borders.